73, Born March 15, 1939 in Billings, Montana and passed away May 2, 2012 in Rockwall, Texas. He is preceded in death by his daughter, Teresa Bender; and his parents, Rudy and Jerry Bender. Kenneth is survived by his wife of forty-five years, Karen Bender; two sons, Tim Bender and his wife, Cyndi and Troy Bender and his wife, DeeDee; daughter, Taren Hill and her husband, Bruce; seven grandchildren, Draven Thomas, Kayla Bender, Holly Bender, Aaron Bender, Laura Bender, Hannah Bender, and Haylee Bender; brother, Ronald Bender and his wife, LouAnn; sister, Judy Leonard and her husband, Pat; and numerous other family members. 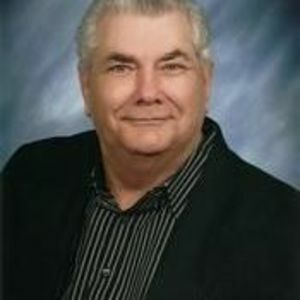 Visitation will be from 6:00 P.M. until 8:00 P.M., Friday, May 4, 2012 at Charles W. Smith & Sons Funeral Home, 2925 5th Street, Sachse, Texas. Service will be held at 2:00 P.M., Saturday, May 5, 2012 at First Baptist Church of Garland, 801 W. Avenue D, Garland, Texas. Dr. Greg Ammons officiating. Interment will follow in Lake View Cemetery, Lavon, Texas. Karen. So sorry to hear about Ken's passing. You are in my thoughts and prayers. Hold onto your memories and let them guide you at this difficult time.